Welcome to the Batavia Engineering website. We manufacture a comprehensive selection of steel hand ladles and saucer-shaped skimmers for the metal casting industry. 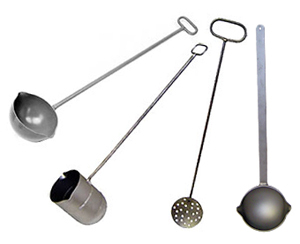 Our ladles provide capacities and quality features not typically found in other brands. The combination of modern production technology with careful workmanship, honed by decades of experience help make our products the first choice among professionals at leading die casting companies. Capacities from 1-1/2-oz. to 9-1/2 lbs. For complete details and specifications go to the Steel Hand Ladles and Skimmers sections of our website. To request pricing or custom designs, go to Contact Us. Batavia Engineering is affiliated with Strong Forge & Fabrication, a fabricator of forgings and weldments for OEM and Off-Highway vehicles, architectural fabrications, and other heavy-duty applications. 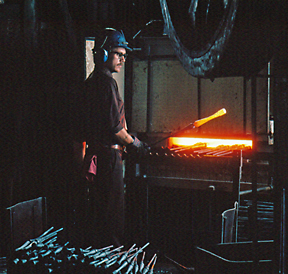 To visit the website of Strong Forge & Fabrication, click here.